Beauty | Break Up With Your Makeup! 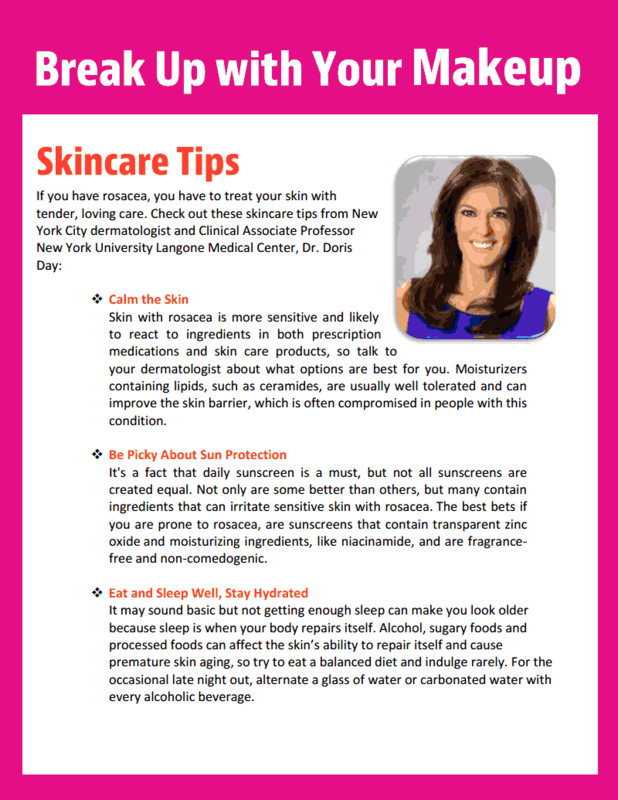 My first word of advice when I am asked about makeup is making sure proper skincare is a part of your regimen. Proper skincare is so much more important than makeup and taking care of your skin can reduce your need for makeup. When it comes to skincare, everyone's skin is different which results in different needs for each person. It wasn't until late high school that I learned my own skin needs. I learned that one of the reasons I experienced acne on my forehead and chin area is because I have combination to oily skin and extra oil is produced in those areas. Although I was able to subdue most of the acne, it's not always that easy. Some Americans enter adulthood with rosacea, sometimes referenced as adult acne. Rosacea is a common, inflammatory skin condition that effects an estimated 16 million Americans. Although you may not hear the term often in the African American community, it is common with women of color. In fact, the common result of rosacea with women of color is hyperpigmentation, which is a common skin concern most women are trying to conceal through makeup. 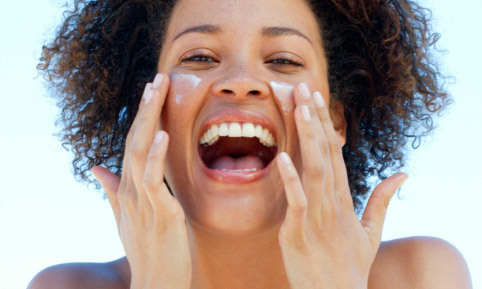 The best way to prevent hyperpigmentation and break up with makeup is to treat the rosacea. Another way to treat your skin is by using, Mirvaso® (brimonidine) Topical Gel, 0.33%*, the first and only gel specifically developed and proven to reduce the persistent facial redness of rosacea. It absorbs quickly and lasts up to 12 hours. To learn more about Mirvaso, click here. 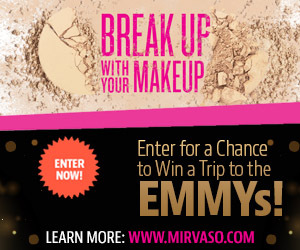 Mirvaso also has a great opportunity to win a trip to the Emmys! For more information, click here. Mirvaso® (brimonidine) topical gel, 0.33% is an alpha adrenergic agonist indicated for the topical treatment of persistent (nontransient) facial erythema of rosacea in adults 18 years of age or older. Adverse Events: In clinical trials, the most common adverse reactions (≥1%) included erythema, flushing, skin burning sensation and contact dermatitis. Warnings/Precautions: Mirvaso Gel should be used with caution in patients with depression, cerebral or coronary insufficiency, Raynaud's phenomenon, orthostatic hypotension, thromboangiitis obliterans, scleroderma, or Sjögren’s syndrome. Alpha-2 adrenergic agents can lower blood pressure. Mirvaso Gel should be used with caution in patients with severe or unstable or uncontrolled cardiovascular disease. Serious adverse reactions following accidental ingestion of Mirvaso Gel by children have been reported. Keep Mirvaso Gel out of reach of children. Not for oral, ophthalmic, or intravaginal use. You are encouraged to report negative side effects of prescription drugs to the FDA. Visit www.fda.gov/medwatch or call 1-800-FDA-1088. What is your skincare regimen? If you have rosacea, how do you reduce or control it? Yes! Skincare is so important. I hammered it into my girls to always practice good skin care. Great post! I have bad breakout every now and then. What I do is make sure my skin has all makeup removed every night and moisturize it. Also, I drink a lot of water. Great post girl! I have some random dark spots and red spots that I can't get rid of, they just permanently sit there making makeup application a pain! I'm also really sensitive to products so I have a short list of go to products that I don't cheat on! Yep, I think of my face as a canvas. Makeup is just the art. If you don't have a great canvas, you all ready start off wrong.